Used for hiding treatment and inspection holes cut into walls such as those cut to bathtub traps. 1) Cut a hole smaller than 10" X 6"
3) Screw the Airmate grill to the wall. 4) Uses 2 Phillips Head wood screws (included). 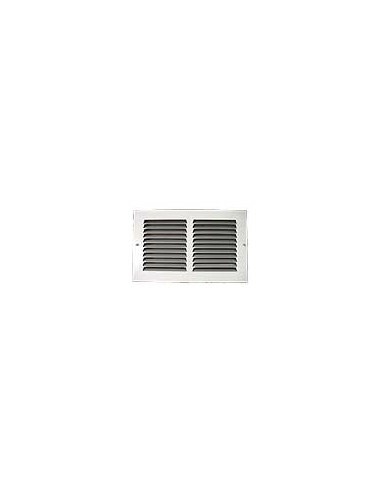 AirMate Access Grill 10 Louvers: 1/2"